University of Notre Dame Professor Christian Davenport has been awarded the American Political Science Association’s 2011 prize for best book on race, ethnicity and politics. 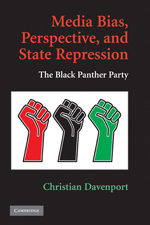 “Media Bias, Perspective and State Repression: The Black Panther Party” (Cambridge University Press) explores the “Rashomon effect”—the tendency for events to be perceived and reported in different ways, depending on who is telling the story and to whom—and its implications for violence, protest, repression and peace. The phenomenon is named after Akira Kurosowa’s 1950 mystery film “Rashomon,” in which a single event is recalled in four contradictory ways by different individuals. “This award means a great deal to me, for this is actually the first book that I wrote, but the second that I published,” says Davenport, a professor of peace studies, political science and sociology at the University’s Kroc Institute for International Peace Studies. 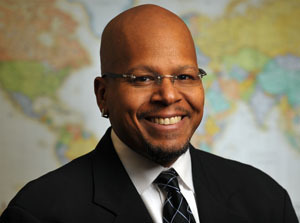 As a scholar and teacher, Davenport uses statistical research, ethnography and other approaches to examine human rights violations in Rwanda, India, Northern Ireland and the United States. The author of the 2007 book “State Repression and the Domestic Democratic Peace” (Cambridge University Press), he currently directs two research initiatives: Save Our States and the Radical Information Project. Davenport says he recently completed a new book project called “To Kill a Movement,” about the role repression plays in the destruction of social movements. He is also concluding a 12-year study on political violence in Rwanda for a book called “In Pursuit of a Number,” with Allan Stam at the University of Michigan, and is working with a group of colleagues on another book about “untouchability” in India. Originally published by Kate Cohorst at al.nd.edu on August 11, 2011.